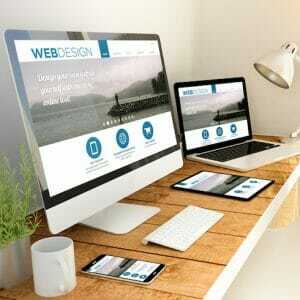 If so, there are many factors to consider from both the art and science of web design. This article will focus solely on the “science” of web design. Just for the record – aesthetics is hugely important. No one wants an unappealing website or one that’s difficult to navigate. The issue is that many creative agencies place all of their emphasis on the aesthetics and very little on search engine optimization or other technical details. Technical SEO is hugely important to your continued success in search results. Many websites tank in the Google rankings after a website redesign because there is little to no attention given to technical SEO. In addition, many web design firms have little to no experience with search engine optimization (SEO) and those that do are difficult to find. And, everyone knows that there are tons of unscrupulous web marketing companies claiming to be SEO Experts. So, over at PersistSEO, we’ve put together a checklist of best practices to implement when going through your next website redesign project. For those with a background in web design and marketing, this tip should be a no brainer. WordPress sites have both a MySQL Database (which stores the bulk of the content) and core web files. Be sure you have a recent backup of both the MySQL database and the web files (the entire site). There are some great tools and plugins that make this step super easy. Many hosting companies, like SiteGround.com, also have plans that do automated daily or monthly backups. Take inventory of your exact URL structure on your website. For example, is your About page /about/ or /about-us/? Either way, make sure your new site uses the same naming convention as the old site, if possible. Doing so will reduce the amount of time you have to spend redirecting your pages. If you have many pages that aren’t SEO friendly URLs (ex. /p=3456/), then you should consider making a change to something more SEO friendly (ex. /iphone-repair-services/). When changing your URLs to something new, go ahead and create the new page (on your test site) with an SEO friendly URL and create a mapping spreadsheet to keep up with the changes. In one column, add the URL of the old site and in the other, add the URL of your new site. When you’re done with the website, you can easily convert the mapping spreadsheet into a CSV file and upload the redirects into a Redirection plugin for WordPress. So, if someone stumbles across the old link in the search results or on social media, they will automatically be redirected to the new and improved page. Organizing your pages in the proper hierarchy between parent and child pages should be on your web redesign checklist. A web redesign is a great opportunity to get your pages organized in the appropriate directory structure. If you use Yoast SEO along with WordPress, you can turn on Breadcrumbs and this feature will allow your visitors to easily navigate back and forth between pages. There are many tools for keyword research. The Google Adwords Keyword Planner is a free tool you can use to find the best keywords for your business. Enter a few seed keywords and then Google will provide multiple keyword suggestions with the monthly volume and competition. Make a list of the top keywords and narrow them down to consider mapping to your main service pages and home page. Each page should have only one focus keyword and a proper SEO Title. If you haven’t already noticed, Google also provides related searches at the bottom of the SERPs. Check there for some great ideas as well. Once you’ve mapped each one of your competitive keywords to the appropriate services page on your website, you’ll need to download and install the Yoast SEO Plugin. Doing so will allow you to enter a focus keyword, an SEO Title and a Meta Description for each of your main pages. Your SEO Title should begin with the focus keyword and included a few times in your content. Remember – Quality over quantity when it comes to keywords. You’ll want to use your focus keyword in the first paragraph and perhaps once or twice more throughout your content. Always ensure your content makes sense to humans and don’t try to stuff your keyword too many times into your pages. When your new website redesign is ready to go, check your DNS settings. DNS stands for Domain Name Server. If you are switching to a new host, you can either change the A record to point to the IP address of the new host once the web files are in place. Or, you can update the Name Server (NS) records. If you choose the latter, you’ll need to take your mail records into account. This exercise could become tricky but there are many online tutorials and resources to review if you need assistance. Once your web redesign project is nearing completion, start checking all of your pages and posts on the most common mobile and tablet devices. An experienced WordPress web developer can fine tune your site to make all pages responsive. Choosing the best WordPress theme will make this step much easier. Just recently (July 2018), the latest version of Google Chrome displays a “Not Secure” message on sites that have not yet implemented HTTPS. Many web hosts offer a free HTTPS certificate which is perfect for most small businesses. For larger e-commerce sites, you may need to purchase a certificate through your host. Either way, this step can be implemented easily with a host like SiteGround.com and the free Let’s Encrypt certificate. Your new website is up and running: Now what? Set 301 redirects on pages that changed (ex. /about/ —> /about-us/). Anyone visiting the old site will be automatically redirected to the new page. You don’t want your visitors to get an annoying 404 error message due to the old page being non-existent. Add Google Analytics to Your Site – Make certain you use the same Google Analytics code from your old site so that you have a complete history of your traffic. Each day you wait to implement this option is a day without traffic data for your website. We’d recommend using the Global Site Tag and placing in the HEAD section of each page of your website. Adwords Conversion / Thank You Pages – Are you running an Ad campaign with conversion scripts? If so, those scripts need to be added back to the site, along with a Thank You page after lead form submissions. Conversion scripts may not be needed if you make use of the Global Site Tag and connect Google Analytics with Google Ads. Create a Sitemap for Humans – We’d recommend installing a page sitemap plugin from the WordPress repository. The plugin is free and it will allow you to create a page of links to each one of the pages and posts within your WordPress website. Create and Submit a Sitemap for Google Search Console upload the sitemap XML file– Since your new website is up and running, you’ll want Google to crawl the site as soon as possible. Login to Google Search Console and that is dynamically generated by the Yoast plugin. Check the page speed and work towards a score of 80 or above. Google will provide recommendations for improvement. If you need assistance navigating through the technical details of your next website redesign, call on the web design experts at PersistSEO. We’ve worked on several hundred web projects over the years and especially enjoy helping out local businesses and niche national campaigns. Allow us to manage the technical details while you focus on your business. Call us at 770.580-3736 for more information or complete the online form and tell us about your project.